This display features the five flags of the miltary branches of the United States, as well as Old Glory. The set is indivdually boxed and includes a black plastic base that holds all six flags. 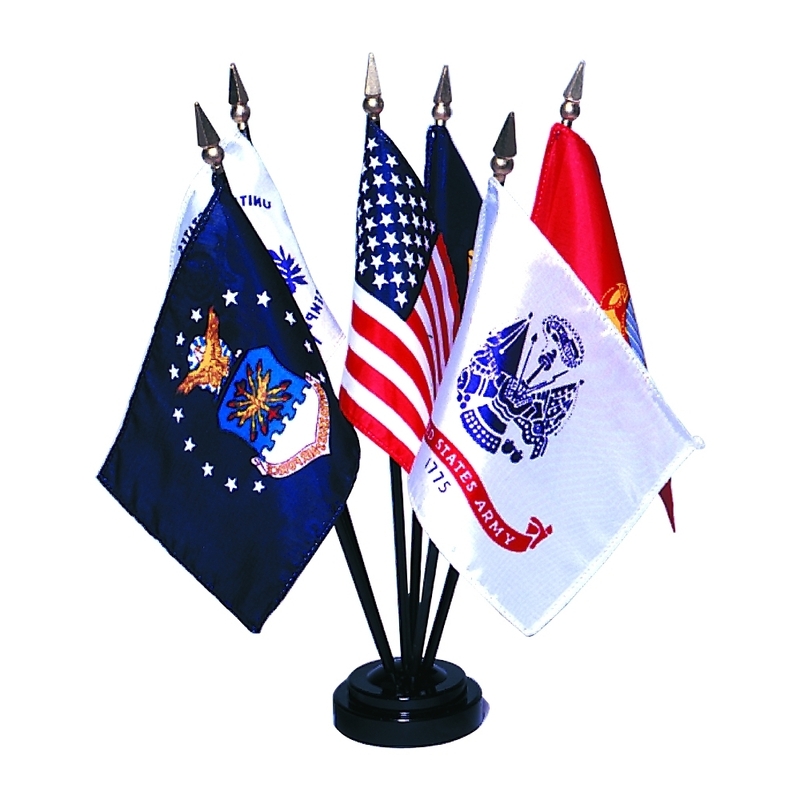 Flags included in set: Army, Navy, Air Force, Marines, Coast Guard and USA.